Customer equity is a result of customer relationship management. Customer equity is the total of discounted lifetime values of all of the firms customers. In layman terms, the more loyal a customer, the more is the customer equity. Firms like McDonalds, Apple and Facebook have very high customer equity and that is why they have an amazing and sustainable competitive advantage. The theory of Customer Equity can be defined as the value of the potential future revenue generated by a company’s customers in the entire lifetime of the firm. The company with high levels of Customer Equity will be valued at a higher price as compared to a company with low customer equity at the marketplace. Customer Equity represents the value that current and future potential customers will provide to a company during the entire lifespan of their relationship. This equity measure is usually referred to as the customer lifetime value which is equal to the net present value of the estimated relationship lifespan cash flow generated from the customer. To obtain the effective CLV, businesses need to take into account the details such as amount spent to acquire one customer, amount required to retain the customer, and profit and cash flows generated by a customer overestimated retention and specific time frame. Customer Equity is a measure that is quite important to companies since it is an indicator of how valuable business is in the market and in the minds of the customers. It is also a vital and imperative data metric to know in order for a business to develop the right and effective marketing strategies to promote its products and attract customers to generate more profits and revenues. By knowing the value that segments of its customers will bring, the company can know where to concentrate its marketing efforts and budget on initiatives that are meant to bring in or retain customers for a longer period of time. 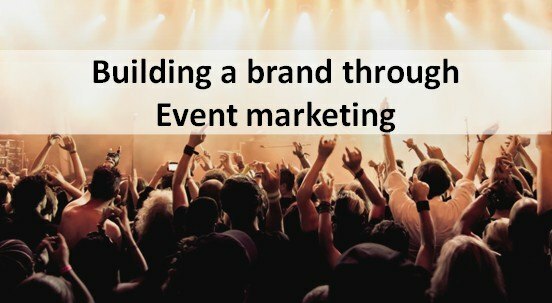 This way, unnecessary marketing costs, and efforts can be avoided, and funds can be channeled to marketing projects that will yield the highest value and profit. You begin to benchmark Customer Equity within similar companies in the same industry domain, thereby identifying which companies are more valuable in the market and to the customer’s specifications. 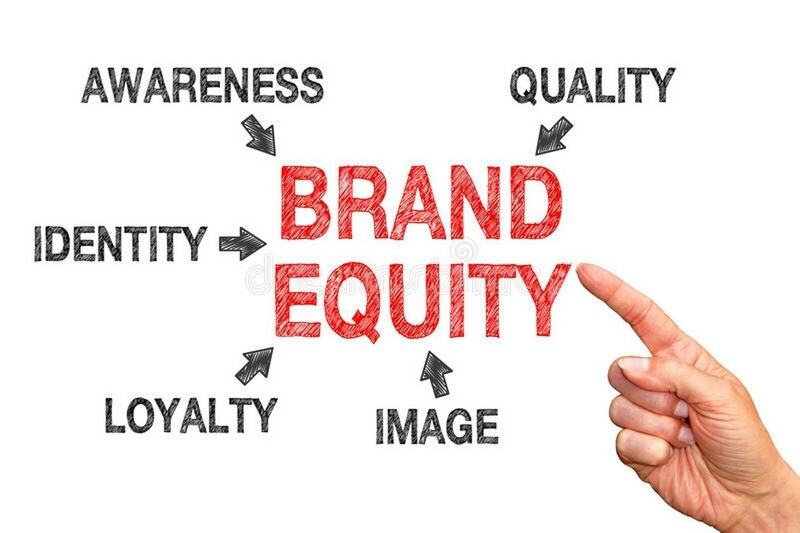 With the realization that the proper calculation of Customer Equity includes the proper assessment of the goodwill towards the brand because it depends on an insight with respect to the future brand equity of the firm to help assess the nature of future purchases by the customers. Realizing that the proper calculation of Customer Equity requires insight with respect to the customer’s assessment of your firm’s customer value proposition, which in turn is impacted by the various operations drivers such as customer service and more. 1) Customer Equity indeed is the subject of an entire driver tree, with the drivers impacting Customer Equity in the various different ways. It is the crucial realm of strategic marketing to understand how these drivers need to be tweaked in order to maximize the levels of Customer Equity over a period of time. 2) It is also quite important because it incorporates many other measures important to the marketing team of the firm and presents it as a point measure or as a probability distribution. 3) However, one of the most important facets of Customer Equity is that it can be used to estimate your future marketing ROI or your future return on marketing. This is because Customer Equity cannot be properly assessed in an efficient manner unless you not only truly understand what sort of marketing interventions and tactics will be required to drive future value. 4) Customer Equity is one of the seldom forward-looking measures in your business strategy and measurement techniques, which places it in a league of its own as far as marketing performance measurement and marketing strategy are concerned. 5) It is quite unfortunate that so many marketers tend to be very scared of the numbers because while the value may take quite some work to calculate the overall result to arrive at the proper conclusion, it is not unduly difficult at all. 6) However, it does become a lot more interesting in nature when statistical methods are applied to the calculation because then probability theory can be applied as well befitting uncertainty, which is a lot more powerful a management tool than merely arriving at the point numbers. 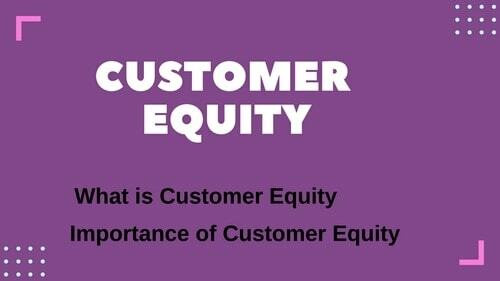 Customer Equity is made up of three components. 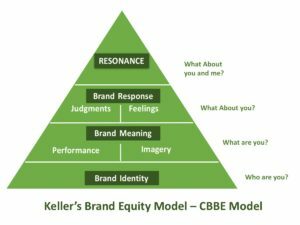 Value Equity, Brand Equity and Relationship Equity. This is the customer’s unbiased assessment of what the firm has to offer in the market based on perceptions of what the customer is willing to or sacrifices for what is received to him. One of the common terms used in marketing is “Value for Money” also known as “VFM”. Thus Value equity is the customers assessment based on the offer, its price and its convenience. 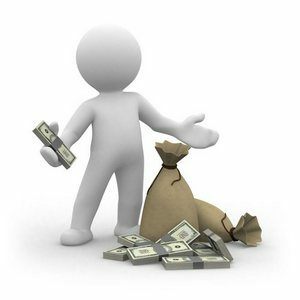 Thus if all the three match for the customer, the firm is said to have high value equity. McDonalds is a fast food item, it is available in most places and its price is considerable highly reasonable. Thus it has high value equity because it is “value for money” product. Reebok and Adidas are available at select malls, they are perceived as the leaders in sports shoes and people are ready to go out of the way to get a reebok and adidas shoe. Thus even Reebok and Adidas have value equity. Value equity is especially important in Industrial markets mainly because B2B customers are highly aware of the convenience and pricing parameters for high cost products. A normal pizza might cost you around 100 rupees. But if the pizza is from Pizza hut, or a sandwich is from Subway, you will be ready to shell out more money without even looking at them. This is mainly because of your perception and this plays a crucial role in defining brand equity. 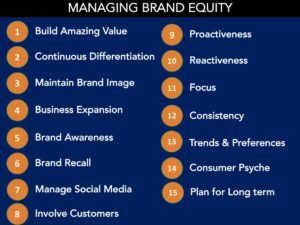 Brand equity is the customers subjective and intangible assessment of the brand above and beyond its objectively perceived value. In essence, on the name of a brand, a customer might be ready to pay more value just because of his trust on the brand. 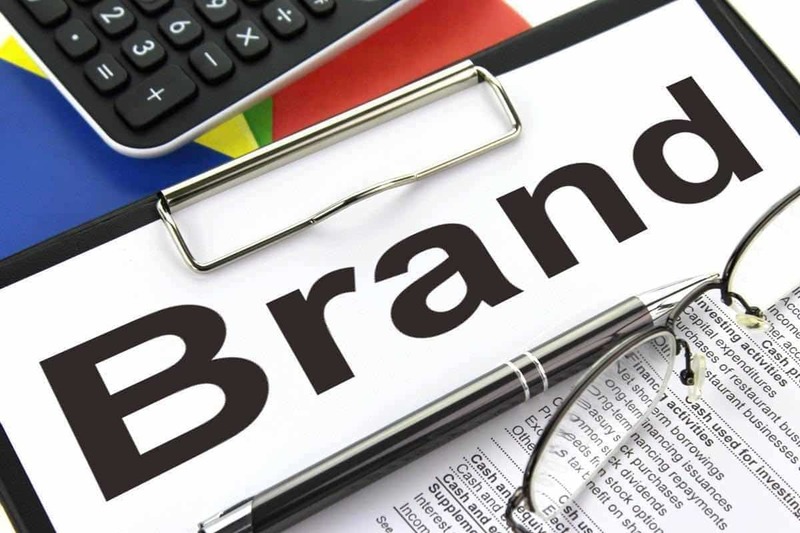 The drivers of brand equity are brand awareness, customer attitude and finally brand ethics and its perception by customers. 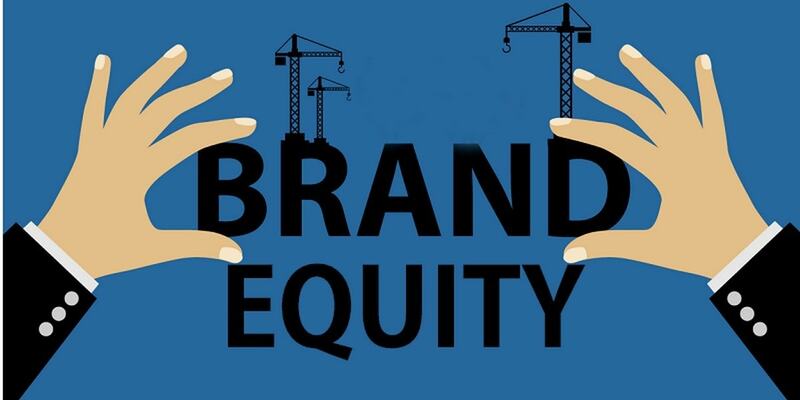 The tools used in developing brand equity mainly include advertising, public relations and an overall holistic marketing approach. Brand equity is very important in the consumer market. Relationship equity is what makes a customer stay back with the preferred brand rather than shift to any other. However, True relationship equity comes when a customer is ready to stay with the brand ignoring loyalty programs, special recognition programs and all other programs. An excellent example of a company with probably the highest relationship equity is Harley Davidson. Relationship equity comes to a firm which is good in maintaining personal relations and therefore the customer continues with the supplier our of habit or inertia. Thus these three equities together form the customer equity for an organization. Depending on the type of product it is in, as well as norms in its sector, the company vary in the type of equity it wants to harness most. 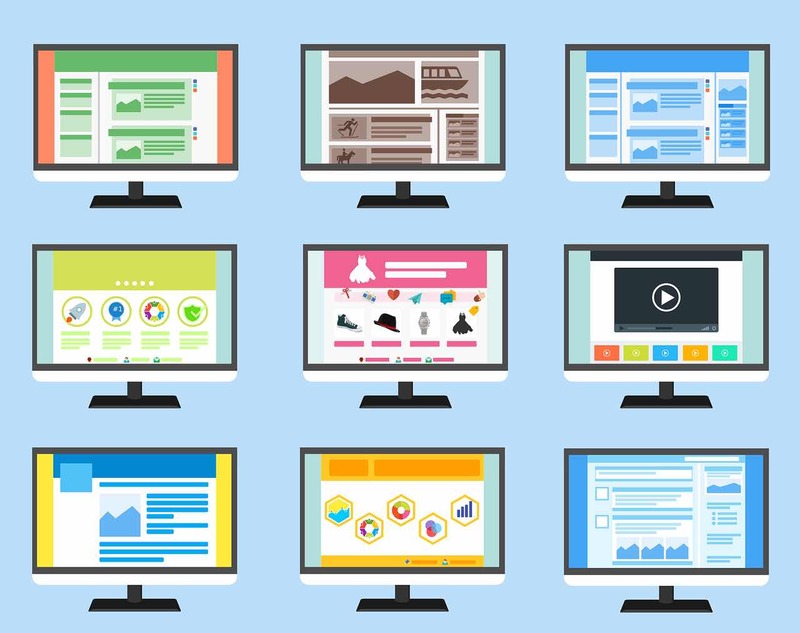 What are the Components of a website? I am interested in developing a stochastic time dependent model to estimate the expected customer equity and its volatility over time. I am interested in giving a simple example to estimate the customer equity using the stochastic model. If interested I can explain my model.